Alopecia areata is an acquired skin disease that can affect all hair-bearing skin and is characterized by localised areas of non-scarring hair loss. Alopecia areata, as a rule, is rarely associated with any other external or internal medical problems. Most often these bald areas regrow their hair spontaneously. Alopecia areata is a hair-loss condition which usually affects the scalp. It typically causes one or more patches of hair loss. Alopecia areata can affect both genders. An autoimmune disorder, in which the immune system attacks hair follicles, is believed to cause alopecia areata. For most patients, the condition resolves without treatment within a year, but hair loss is sometimes permanent. In some cases alopecia areata can be seasonal. A number of treatments are known to aid in hair re-growth. Multiple treatments may be necessary, and none consistently works for all patients. Current evidence suggests that alopecia areata is caused by an abnormality in the immune system. As a result, the immune system attacks particular tissues of the body. In alopecia areata, for unknown reasons, the body's own immune system attacks the hair follicles and disrupts normal hair formation. Alopecia areata can occasionally be associated with other autoimmune conditions such as allergic disorders, thyroid disease, vitiligo, lupus, rheumatoid arthritis, and ulcerative colitis. The diagnosis or treatment of these diseases is unlikely to affect the course of alopecia areata. Sometimes, alopecia areata occurs within family members, suggesting a role of genes. What are the different patterns of alopecia areata? The most common pattern is one or more well-defined spots of hair loss on the scalp. There is also a form of more generalized thinning of hair referred to as diffuse alopecia areata throughout the scalp. Occasionally, all of the scalp hair is lost, a condition referred to as alopecia totalis. Less frequently, the loss of all of the hairs on the entire body, called alopecia universalis, occurs. Who is affected by alopecia areata? Alopecia areata tends to occur most often in adults 30 to 60 years of age. However, it can also affect older individuals and rarely toddlers. It should be distinguished from hair shedding that may occur following the discontinuation of hormonal estrogen and progesterone therapies for birth control or the hair shedding associated with the end of pregnancy. There are a number of treatable conditions that could be confused with alopecia areata. What is the treatment for alopecia areata? There are a variety of treatments depending on the period of time of hair loss and the size area/areas effect. Steroid injections, creams, and shampoos for the scalp have been used for many years and are known to be effective. Advise from your GP should be sought as to what treatment is the right treatment for you. Weight Loss: What is 5:2 Fast Diet? HAIR: What Causes Hair Loss? It's My Birthday Today - Enjoy My Treat! Birthday Moments With the Maestros!! Enjoy!! HAIR LOSS: What is DHT? 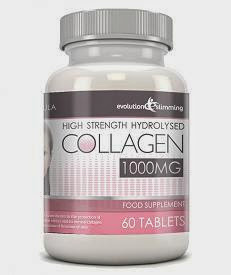 Collagen: Is your diet speeding up your aging? HAIR: Is Hair Loss Hereditary? Hi Strength!! NO MORE Saggy, Baggy Elephant! How Many Calories a Day to Lose Weight? Copyright NaturalHealthYes.com | All Rights Reserved |. Simple theme. Theme images by PLAINVIEW. Powered by Blogger.